Easter is just around the corner. How have you been preparing for this holiday weekend? Well, many store owners may think of Easter as a golden opportunity for candy shops only. But it doesn’t have to be like this. Take this chance to run smart promotions and boost your sales! You can gain surprisingly racing revenue to overcome the blue sales slump! Looking for more subscribers (and sales)? 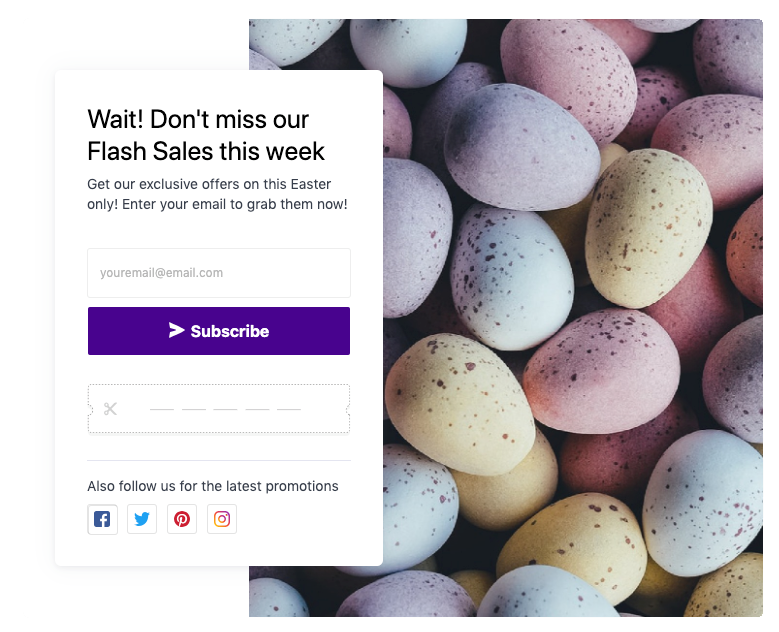 Just use this theme to ask customers to leave their email list and get a coupon code! 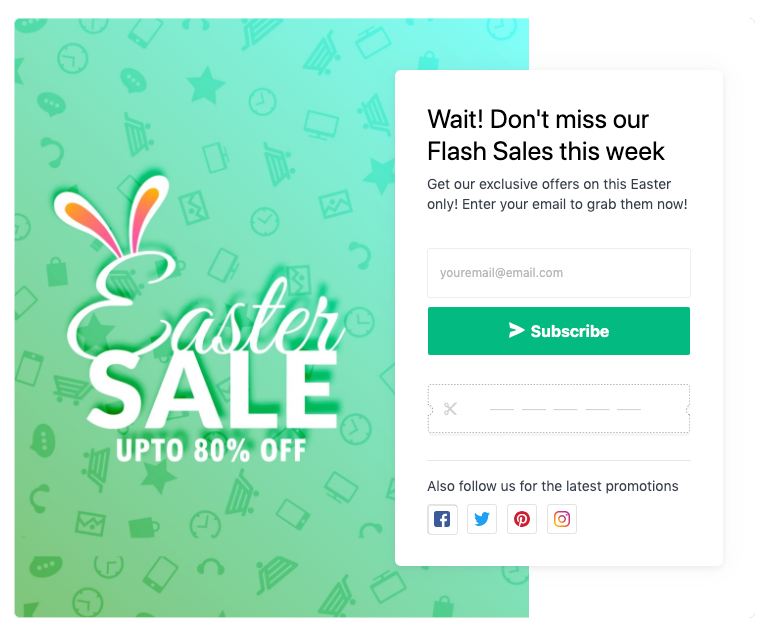 Having a Flash Sales on your store? You can use this theme to announce this exciting news to all your customers. 🎉 In case you need some changes, like editing the sales to 50% only, just give us a ping to request personalized customization. 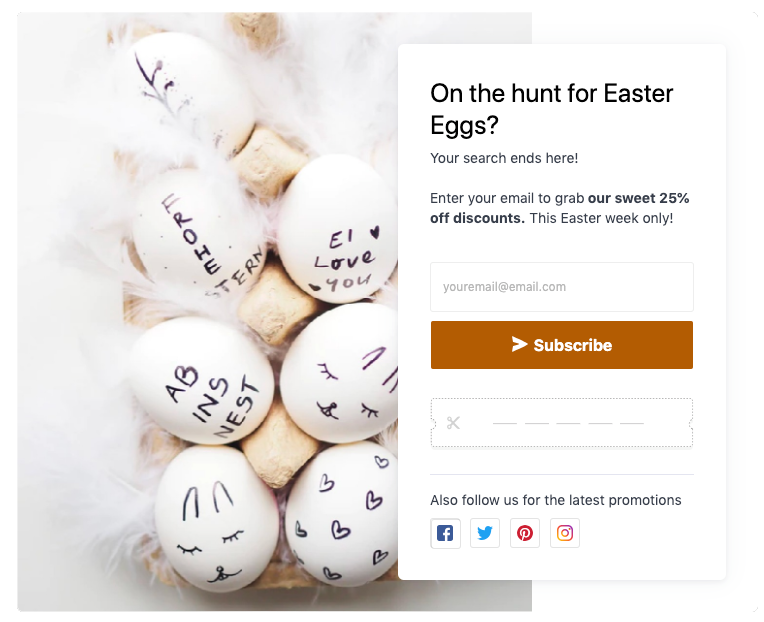 Remind the customers who are hunting for easters eggs of your sweet discounts. This colorful theme will surely catch their attention and bring you a boost in holiday sales. If you are selling adorable things, this cute popup layout is perfect for you. Looking for subtle color? This pastel colored theme would fit your store design. That’s it! So if you are as excited about these themes as we are, then don’t hesitate to contact us to get the templates for FREE! 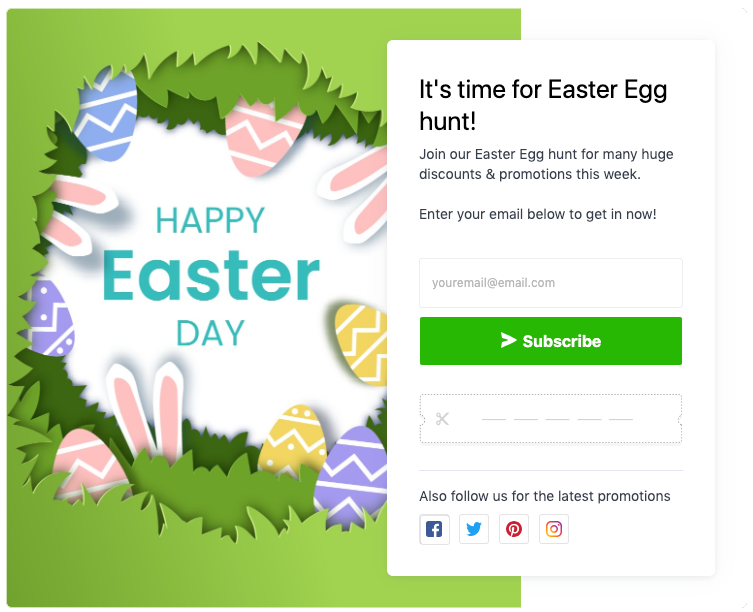 And of course, don’t forget that we are willing to help you customize these themes to better fit your campaign. All you have to do is just reaching out. 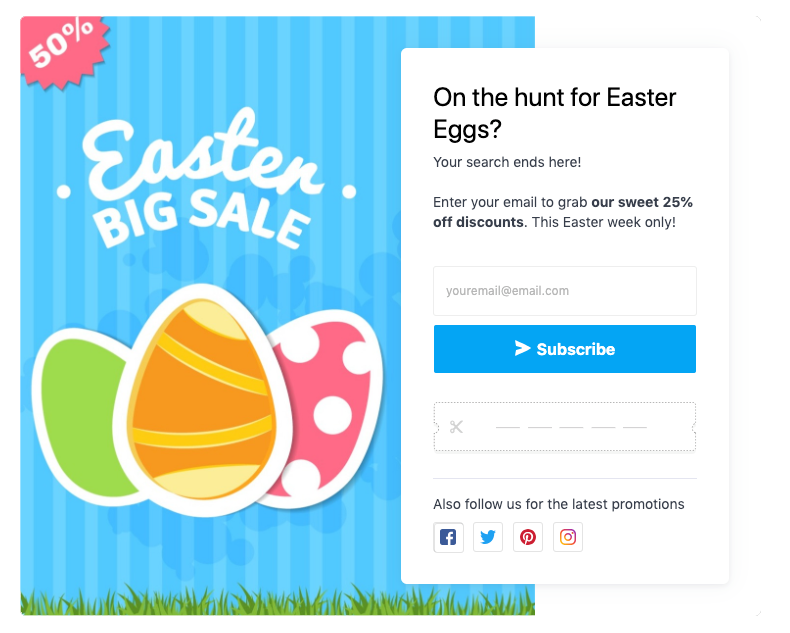 BOOST EASTER SALES WITH NEW POPUP THEMES!